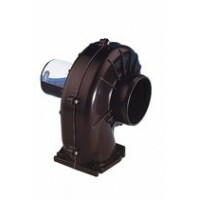 Marine Blowers	There are 24 products. 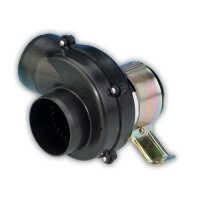 JABSCO 34744-0000 Flangemount 3" Blower. Air flow: 100ft3 (2,8 m3/min. ), Voltage: 115 Vac, 0.75 AGC, Fuse Size: 0.75 Amp , 5 lbs (2,3 kg) Inlet (In): 3 CFM: 100, Outlet(in): 2 3/4 Tough Reinforced Plastic Housing, Various mounting options to flat surface, Slip-On Inlet Ducting Connection, Efficient High Volume Air Flow, Low-Current Draw, Corrosion-Resistant Materials, N.M.M.A. Type Accepted. Jabsco 35115-0020 Flangemount 3'' Blower. Airflow: 105CFM (2.9m3/min), Voltage: 12Vac, 0.75 AGC, Fuse Size: 6 Amp , 4 lbs (2,3 kg) Inlet (In): 3'' CFM: 105, Outlet: N/A Tough Reinforced Plastic Housing, Various mounting options to flat surface, Slip-On Inlet Ducting Connection, Efficient High Volume Air Flow, Low-Current Draw, Corrosion-Resistant Materials, N.M.M.A. Type Accepted. 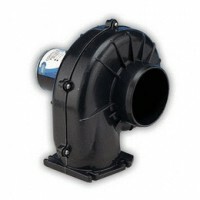 JABSCO 35515-0010 Flexmount 3'' Blower.Air flow: 105CFM (2.9m3/min), Voltage: 12 Vac, AMP: 4.3, Fuse Size: 6 , Weight: 1.6 kg (3.5 lb), ough Reinforced Plastic Housing, Universal Flexmount Bracket Permits Outlet to Face Any Direction, Slip-On Inlet and Outlet Ducting Connection ,Efficient High Volume Air Flow, Low Current Draw , Corrosion-Resistant Materials Throughout, N.M.M.A. Type Accepted. JABSCO 34739-0010 Flangemount 3" Blower. 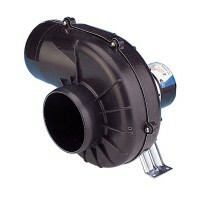 Air flow: 150 CFM (4.0 m3/min. ), Voltage: 12 Vdc, 6.5 Amps, Fuse Size: 10A, 5 lbs. 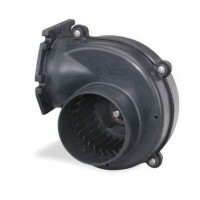 Tough Reinforced Plastic Housing, Various mounting options to flat surface, Slip-On Inlet Ducting Connection, Efficient High Volume Air Flow, Low-Current Draw, Corrosion-Resistant Materials Throughout, N.M.M.A. Type Accepted. 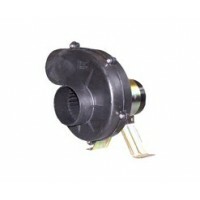 Jabsco 36740-0000 Flexmount 3'' Blower. 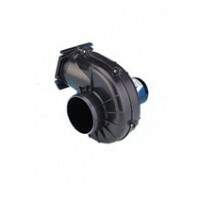 Air flow: 150CFM (4.2m3/min), Voltage: 12 Vdc, AMP: 6.8, Fuse Size: 10 , Weight: 2.5 kg (5.5 lb), Tough Reinforced Plastic Housing ,Universal Flexmount Bracket Permits Outlet to Face Any Direction , Slip-On Inlet and Outlet Ducting Connection , Efficient High Volume Airflow , Low Current Draw , Corrosion-Resistant Materials Throughout. Jabsco 34739-0020 Flangemount 3'' Blower. Airflow: 150CFM (4.2m3/min), Voltage: 24Vac, 0.75 AGC, Fuse Size: 5A Amp , 5 lbs (2,3 kg) Inlet (In): 3'' CFM: 150, Outlet: N/A Tough Reinforced Plastic Housing, Various mounting options to flat surface, Slip-On Inlet Ducting Connection, Efficient High Volume Air Flow, Low-Current Draw, Corrosion-Resistant Materials, N.M.M.A. Type Accepted. 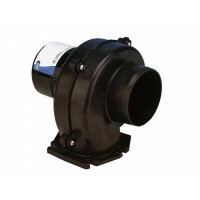 Jabsco 36740-0010 Flexmount 3'' Blower Airflow: 150CFM (4.2m3/min), Voltage: 24Vdc, 0.75 AGC, Fuse Size: 5A Amp , 5 lbs (2,3 kg) Inlet (In): 3'' CFM: 150, Outlet: 3 Tough Reinforced Plastic Housing, Various mounting options to flat surface, Slip-On Inlet Ducting Connection, Efficient High Volume Air Flow, Low-Current Draw, Corrosion-Resistant Materials, N.M.M.A. Type Accepted. Jabsco Flange Mount 3'' Blower Air flow: 150CFM (4.0m3/min), Voltage: 115 vdc, AMP: 0.8, Fuse Size: 1.25A , Weight: 2.3 (5 lb), Outlet(in): 3/3- Tough Reinforced Plastic Housing- Mount to Any Flat Surface- Slip-On Inlet Ducling Connection- Efficient High Volume Air Flow- Low-Current Draw. Jabsco Flange Mount 4'' Blower Air flow: 250CFM (7.0m3/min), Voltage: 12 vdc, AMP: 12, Fuse Size: 15A , Weight: 6 (5 lb), Outlet(in): 3/3- Tough Reinforced Plastic Housing- Mount to Any Flat Surface- Slip-On Inlet Ducling Connection- Efficient High Volume Air Flow- Low-Current Draw. Jabsco Flange Mount 4'' Blower Air flow: 250CFM (7.0m3/min), Voltage: 24 vdc, AMP: 5.3 , Fuse Size: 2A , Weight: 6 (5 lb), Outlet(in): 3/3- Tough Reinforced Plastic Housing- Mount to Any Flat Surface- Slip-On Inlet Ducling Connection- Efficient High Volume Air Flow- Low-Current Draw. Jabsco Flange Mount 4'' Blower Air flow: 150CFM (7.0m3/min), Voltage: 32 vdc, AMP: 4.0 , Fuse Size: 15A , Weight: 6 (5 lb), Outlet(in): 3/4 - Tough Reinforced Plastic Housing- Mount to Any Flat Surface- Slip-On Inlet Ducling Connection- Efficient High Volume Air Flow- Low-Current Draw. 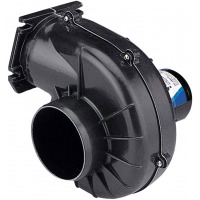 Jabsco Flex Mount 4'' Blower Air flow: 250CFM (7.0m3/min), Voltage: 12 vdc, AMP: 10.0, Fuse Size: 15A , Weight: 6 (5 lb), Outlet(in): 4/4- Tough Reinforced Plastic Housing- Mount to Any Flat Surface- Slip-On Inlet Ducling Connection- Efficient High Volume Air Flow- Low-Current Draw. Jabsco 35440-0010 Flangemount 4'' Blower Airflow: 250CFM (7.0m3/min), Voltage: 12Vac, 0.75 AGC, Fuse Size: 6, Amp: 15A 4 lbs (2,3 kg) Inlet (In): 3'' CFM: 250, Outlet: N/A Tough Reinforced Plastic Housing, Various mounting options to flat surface, Slip-On Inlet Ducting Connection, Efficient High Volume Air Flow, Low-Current Draw, Corrosion-Resistant Materials, N.M.M.A. Type Accepted. Jabsco 35440-0020 Flangemount 4'' BlowerAirflow: 150CFM (2.9m3/min), Voltage: 32 Vdc, 0.75 AGC, Fuse Size: 4.0 Amp , 4 lbs (2,3 kg) Inlet (In): 4'' , Outlet: 4'' Tough Reinforced Plastic Housing, Various mounting options to flat surface, Slip-On Inlet Ducting Connection, Efficient High Volume Air Flow, Low-Current Draw, Corrosion-Resistant Materials, N.M.M.A. Type Accepted. Jabsco 35760-0092 Flangemount 4'' Blower . Airflow: 250CFM (7.0m3/min), Voltage: 12Vdc, 11.0 AGC, Fuse Size: 6 Amp , 4 lbs (2,3 kg) Inlet (In): 3'' CFM: 250, Outlet: 3'' Tough Reinforced Plastic Housing, Various mounting options to flat surface, Slip-On Inlet Ducting Connection, Efficient High Volume Air Flow, Low-Current Draw, Corrosion-Resistant Materials, N.M.M.A. Type Accepted. 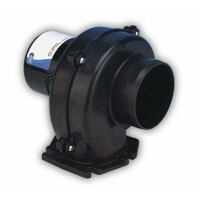 Jabsco 35770-0092 Flexmount 4'' Blower Airflow: 250CFM (2.9m3/min), Voltage: 12Vdc, 11.0 AGC, Fuse Size: 6 Amp , 4 lbs (2,3 kg) Inlet (In): 4'' , Outlet: 4'' Tough Reinforced Plastic Housing, Various mounting options to flat surface, Slip-On Inlet Ducting Connection, Efficient High Volume Air Flow, Low-Current Draw, Corrosion-Resistant Materials, N.M.M.A. Type Accepted. Jabsco 35760-0094 Flangemount 4'' Blower. Airflow: 105CFM (2.9m3/min), Voltage: 12Vac, 0.75 AGC, Fuse Size: 6 Amp , 4 lbs (2,3 kg) Inlet (In): 3'' CFM: 105, Outlet: N/A Tough Reinforced Plastic Housing, Various mounting options to flat surface, Slip-On Inlet Ducting Connection, Efficient High Volume Air Flow, Low-Current Draw, Corrosion-Resistant Materials, N.M.M.A. Type Accepted. Jabsco 35770-0094 Flexmount 4'' Blower Airflow: 250CFM (2.9m3/min), Voltage: 24Vdc, 0.75 AGC, Fuse Size: 6 Amp , 4 lbs (2,3 kg) Inlet (In): 3'' , Outlet: 4'' Tough Reinforced Plastic Housing, Various mounting options to flat surface, Slip-On Inlet Ducting Connection, Efficient High Volume Air Flow, Low-Current Draw, Corrosion-Resistant Materials, N.M.M.A. Type Accepted. Jabsco 36760-0115 Flangemount 4'' Blower Airflow: 250CFM (2.9m3/min), Voltage: 115 Vac, 1.5 AGC, Fuse Size: 1.5 Amp , 4 lbs (2,3 kg) Inlet (In): 3'' , Outlet: 3'' Tough Reinforced Plastic Housing, Various mounting options to flat surface, Slip-On Inlet Ducting Connection, Efficient High Volume Air Flow, Low-Current Draw, Corrosion-Resistant Materials, N.M.M.A. Type Accepted.